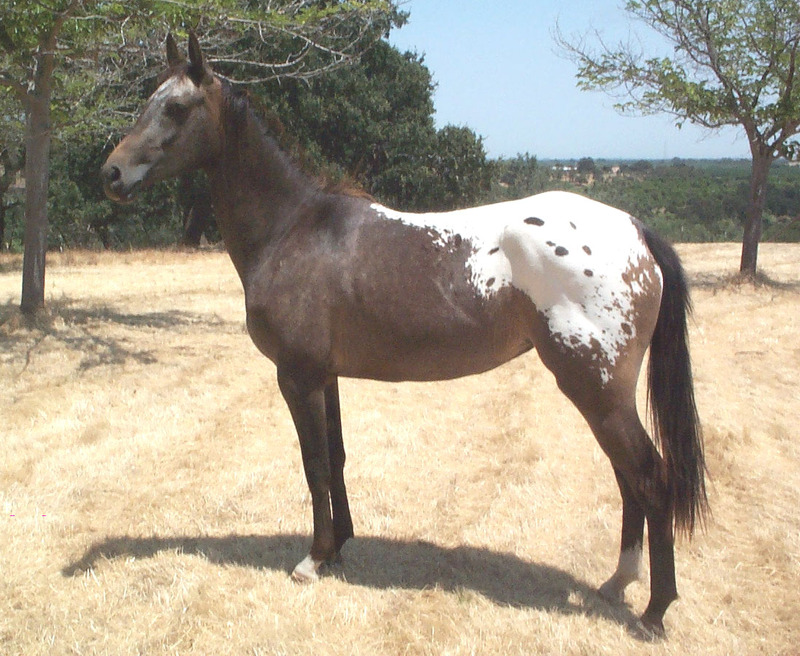 The Nez Perce Horse is a cross between the Akhal-Teke and the Appaloosa. 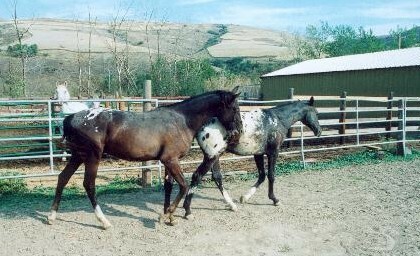 This breed of spotted horses belonged to the Nez Perce tribe of Idaho (and hence the name). The people of this tribe called their horse Ma’amin, The Nez Perces are often “gaited”, having a smooth but fast running walk, and excelled in long rides, jumping, and endurance race competitions. 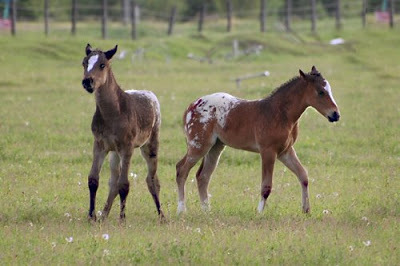 The horses spread widely across the rich Palouse grasslands numbering in tens of thousands. They were well-known and sought after by other tribes, the business classes, and the explorers. 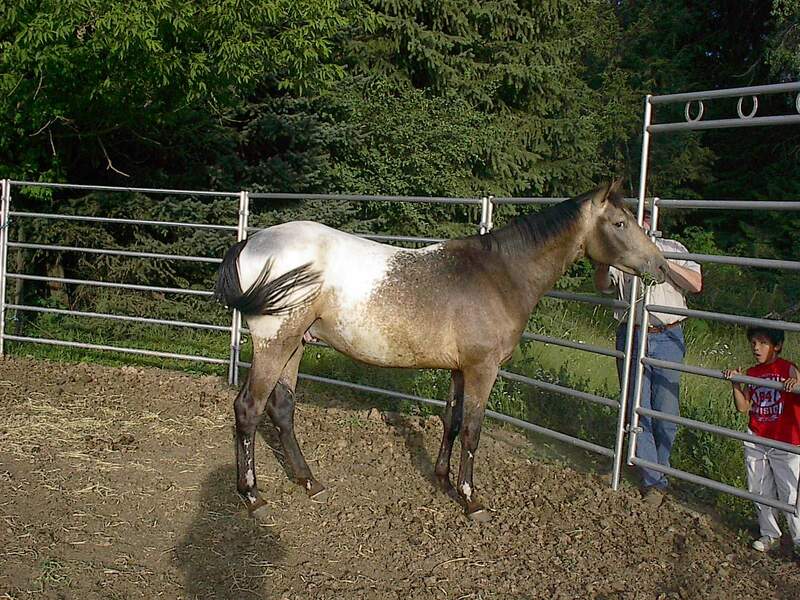 Feeding/Diet Normal horse diet consisting of hay, grass, grains, vegetables, etc. 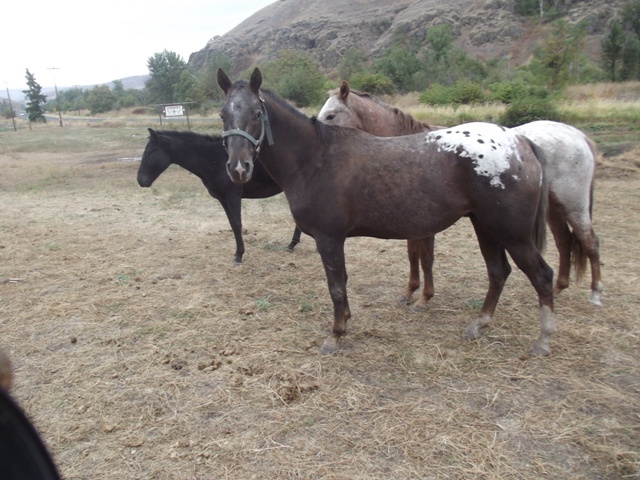 Back in 1951, a program was conducted for the advancement of the Nez Perce by the Nez Perce Horse Registry (NPHR) commenced in the USA, in Idaho’s Lapwai. 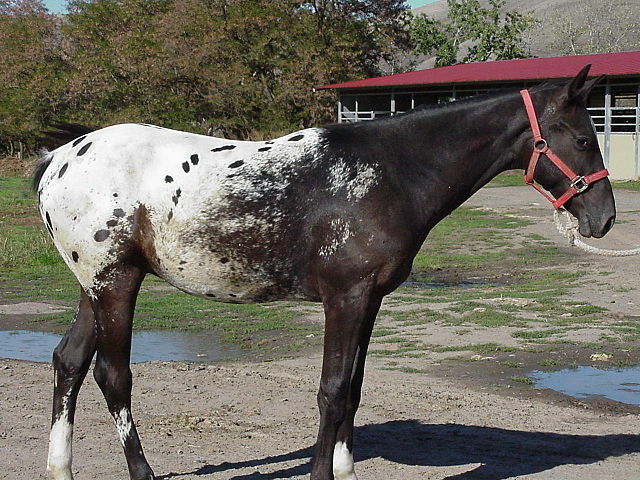 This program was intended to cross-breed the Akhal-Teke, a primitive Central Asian breed, with the old-line Appaloosa horses (the Wallowa herd). Because in the 19th century, a tradition of selective breeding of Appaloosa horses and horsemanship was destroyed, this program aimed at reestablishing the horse culture that prevailed amongst the Nez Perce people. The program was financed by the people of the Nez Perce tribe themselves, a nonprofit organization called the First Nations Development Institute that advocates such businesses, as also the United States Department of Health and Human Services. 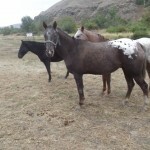 The Nez Perce horses were then recovered from the Minam line of Chief Joseph’s horses, where they were kept pure on a livestock ranch in the valley of Wallowa. 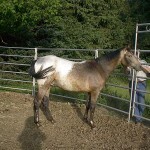 Currently, the breed conformation for these horses looks for features with narrower hindquarters and shoulders, longer back and a leaner appearance than the Quarter and the stock horses from the Western USA. 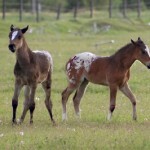 Generally, the experts opine and are unanimous with the beliefs that the first equines reached the Americas along with the Spanish in around 1730, after which, the Plains Indians soon adopted them. 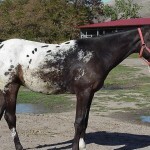 However, the spotted horse ‘Appaloosa’ (a parent breed to the Nez Perce horse breed) has been depicted in several Asian and Chinese pictographs. It has also been theorized by prominent anthropologists the Pacific Northwest tribes, including the Nez Perce or the ‘Nimiipu’, had migrated using an ancient land bridge that probably existed near the Bering Straits off the Alaskan coast, between the continents of North America and Asia. 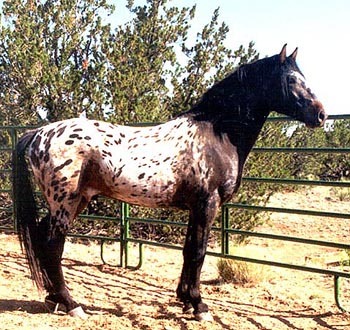 If this theory is true, then, the breeds of the Nez Perce and the Appaloosa were interlinked much longer in time than it is currently presumed. 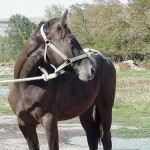 Akhal-Teke, another parent of the Nez Perce horse, known for their virtue of outstanding endurance and “metallic” coats, originated in the country of Turkmenistan, near to Afghanistan, and is also an ancient breed. 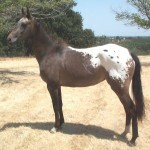 The coats of these horses come commonly in palominos, buckskins, dark bays, and duns. 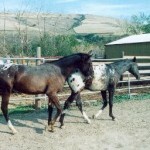 Thus, the typical Nez Perce Horses, equipped with the traits from both their parents, is a palomino or buckskin with the characteristics of the Appaloosa, blotched skin with a blanket or a spotted coat. 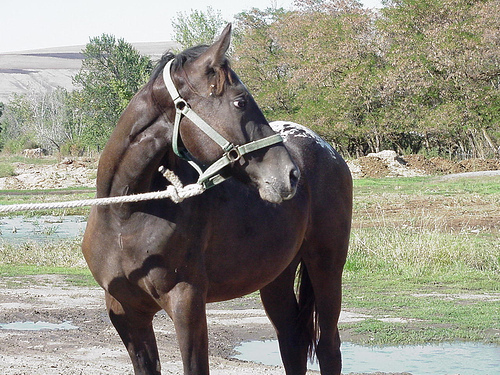 The Nez Perce people say that, the horse has the right attitude that riding horses should have — they “allow” people to ride them.